What are people saying about their UltraCar Insurance experience? Hear from our Happy Customers at UltraCar Insurance. I was in a quick need to purchase SR22 insurance, and Fred Houdei was great to work with. He made sure I understood my policy and stayed on the phone with me to make sure I received all my documents via email before we parted our ways. This was also all being taken care of on a Sunday, when I was having a hard time getting a hold of anyone for insurance quotes. The policy wasn’t just one of the lowest prices, but the customer service I received was fantastic. Thank you guys for your service. Fast, Efficient and very helpful. I was seeking a SR22 to be submitted to a BMV from my previous state of residence. Fred was very helpful and helped me complete the documents and get coverage in about 30 minutes. The documentation was submitted the same day and my requirements were cleared up in 48 hours. I have to say I am very pleased with Fred’s help and the services that were provided. I would definitely recommend. Much appreciated Fred!!!!!! Extremely helpful in insuring me in a timely and cost effective manner. Justin the agent was professional and very aware and knowledgeable of all my insurance needs. Thanks again! Fred at UltraCar Insurance really knows the SR22 business and goes the extra mile. I needed an SR-22 policy right away, and he called me back on a SUNDAY after I left a phone message. Everything was taken care of quickly and painlessly that day, and the rate I got is very manageable. I’m really glad I found this company and wouldn’t hesitate to recommend them. I was going crazy trying to find a FR44 policy without car that I could afford, and no one seemed to be very helpful, and was getting outrageous prices until I contacted this company. The agent (Justin) was very pleasant and patient, and she knew the answers to all my questions. The process of filing the FR44 was very quick and the rate I got was much lower than I was quoted elsewhere. I am a very satisfied customer, and have already referred them to my friends. I found your company through a Google search and am so glad I called. I needed a non owner SR-22 because I’d had an accident in the past, and even though I don’t own a car right now, I have to drive a company vehicle for work. Other companies I contacted said they couldn’t file a non-owner policy for me. I spoke with Justin at UltraCar, and within 10 minutes I got the policy I needed filed electronically, and it was affordable for me. Justin answered all my questions, and even gave me additional information that I didn’t even think to ask. I highly recommend this company if you ever need an SR-22! 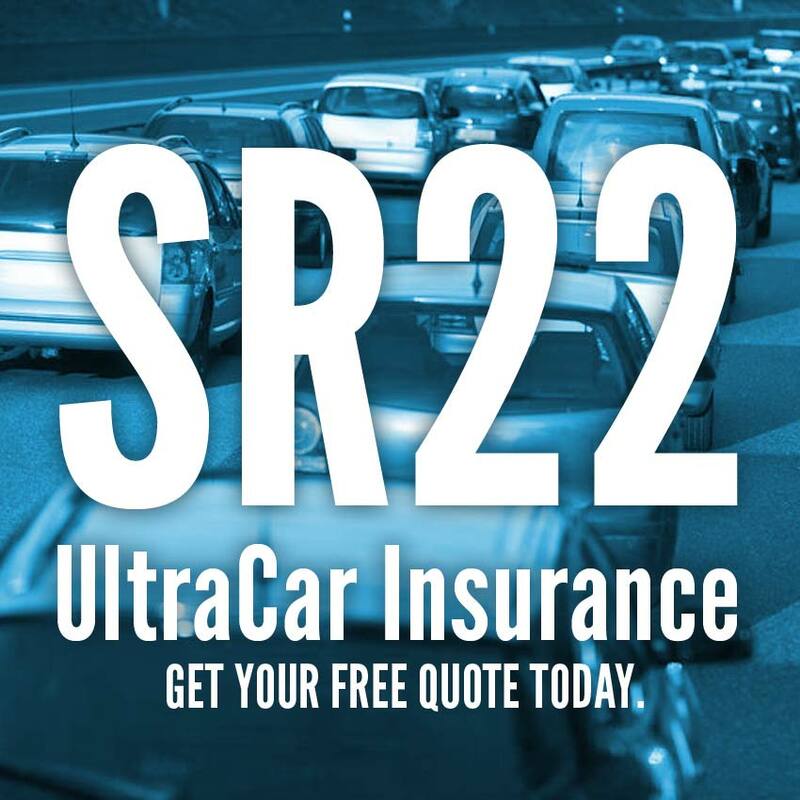 Ultra Car Insurance was literally the only company I was able to get an affordable SR22 insurance policy with. After calling every company I could find and spending a month shopping quotes, they were the best. Even though I got myself into this predicament, it is rough when you can’t afford to correct your own mistakes. Fred, in particular, has been a godsend. I did not think it was possible to pay for an SR22 policy without breaking the bank. Thank you so much! !